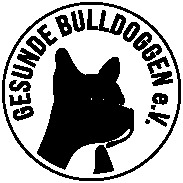 Hip Dysplasia - gesunde-bulldoggen-coms Webseite! Hip joint dysplasia (HD) is the most common hereditary disease of the skeleton of dogs, affecting all breeds and hybrids. Here, the ball joint, which consists of the acetabulum and the femoral head, is affected by dysplastic changes, which are intensified in the course of life by wear and tear and are not curable. HD is inherited multifactorially and, despite strict diagnostic and selection measures, is difficult to control, since even animals that have been evaluated healthily are carriers of the disease and can inherit it. In addition to genetic disposition, the effects of stress and feeding also play a minor role, which can influence the prenatal development of the hip joint. The main cause, however, must certainly be seen in the hereditary predisposition for the looseness of the joint. As an adult dog, a genetically HD-healthy dog will hardly be prone to severe deformities due to improper nutrition and exercise. 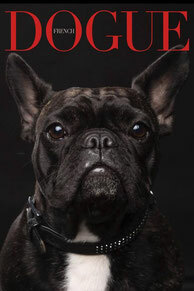 The breed French Bulldog is like the Pug and the English Bulldog strongly affected by HD. However, the disease is mainly ignored because of its "soft" symptoms, which only become noticeable in the small, strongly muscled dog with high-grade changes. Many Bullys show no clear signs of pain or movement restrictions with a stable spinal column in combination with medium HD, because the Bully, unlike the Doberman for example, gets its locomotion mainly from the force of the forehand. However, it is out of the question to ignore hereditary diseases, because the compact, well muscled dog can compensate the deformations relatively well. But: HD in combination with weak points in the spine can have devastating consequences even in young dogs, since the gait automatically shifts to another centre of gravity further forward in the spine due to deformities in the hip and can have an unfavourable effect on existing weak points. Most breeding clubs do not require HD examinations for the suitability test for breeding, so that one can only refer to a few publications of HD results and one's own evaluations. These show, however, that a perfect HD-A is very rare with the Bully. The average is roughly between the transition form (HD-B) up to medium HD (HD-D). The improvement of HD requires long-term careful control and selection of acceptable animals. 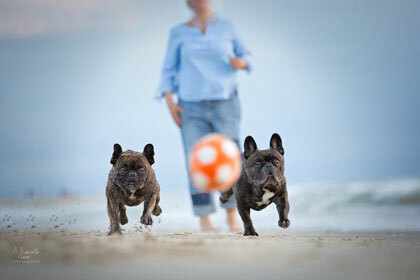 In the selection of bulldogs, however, the focus must continue to be on brachycephalic airway syndrome and a spinal column without pain-causing deformities. Breeding dogs, which are almost without strain in all 3 categories respiration, spinal column and hip, are not found as often as one would wish. Here it is necessary to judge the whole package individually and to set priorities regarding vitality and quality of life and to weigh up what the breeder is responsible for and can expect from the bred animal on the basis of the maximum expected disease value of the offspring, which the prudent breeder certainly includes in the judgements. The aim of breeding must of course be the dilution and eradication of defects over generations. Basically, a well-founded evaluation of all three main hereditary diseases is necessary. The interest for this is frighteningly low with many federations, associations and breeders. A closed control of offspring and close relatives would be absolutely necessary to control the problem of HD over generations. Unfortunately, practice shows too often that this is even denied in cases of illness of the offspring and thus suspected cases, which suggest the parents. Acceptance through ignorance of hereditary defects is certainly a bad attitude towards breeding and the breed! 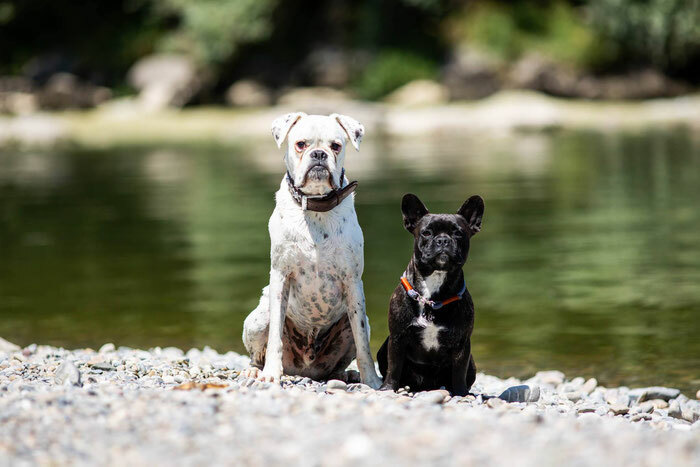 In the case of a moderate to severe HD disease, it must be clarified by a specialist veterinarian which form of therapy promises the greatest possible success for the affected dog on freedom from symptoms. Here the range of possibilities is high, from physiotherapy with muscle build-up to surgical procedures such as pectinectomy, possibly combined with gold acupuncture. Further surgical interventions are the femoral head resection, DBO or even the insertion of artificial hip joints, which is rarely the case with small dogs. In pectinectomy, the pectineus muscle is removed to improve the position of the femoral head in the acetabulum. This gentle procedure promises success if the joint is not too severely deformed and there are no advanced arthroses. Contrary to the general recommendation, this surgical method can also lead to a desired success in an older bully if the muscle is removed and not only incised and the joint is possibly still treated with gold implants. Acupuncture with gold implants can stop the dog's pain reaction. These two options do not rule out further treatment, such as femoral head resection, if they are not successful. In femoral head resection, the femoral head is separated and removed so that a connective tissue-like replacement joint is formed in its place. This surgical method may be necessary if the hip joint head and the acetabulum are severely degenerated and affected by progressive arthrosis. The disadvantage of this operation is the complex physiotherapy that has to follow.